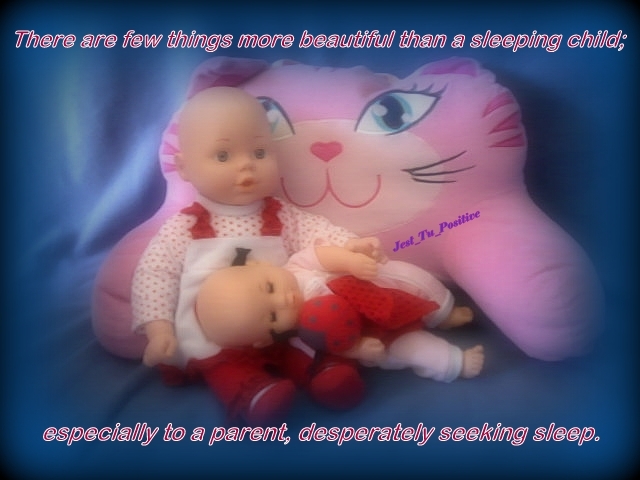 I think sleep deprivation is part of the Parent Job Description. Although, no one ever told me I would covet other people’s sleep; which I do, and I am downright jealous of the people who talk about how well their kids sleep. When Beth was 2.5yrs old, we saw a wonderful sleep specialist. We did a sleep study that was horrible and traumatic for Beth, but it was necessary, so we endured as best we could. The good news was that her test came back with all the results in normal ranges. Dr S stated that our sleep issues were a sensory thing, and perhaps Beth’s body could not slow down enough to allow her to sleep. We decided to try melatonin, and it was a God-send for our girl, and us. We started at .25mg and slowly worked up to a dose that worked for Beth, after a few months we settled on 1.25mg and that worked for about a year. She said all children in this age range typically wake up once an hour, for most it is brief and not even noticeable, but for children on the spectrum it can present with the moaning, chanting, etc… She also stated that 30% of the time children spend sleeping they are in Stage 3, which is where you will see the most activity, such as tossing/turning, sitting up, sleep walking, etc… Plus, she said 25% of the time they are in the deep REM sleep which is where the dreams occur and you may hear talking, whimpering, laughing, etc…; this is when night terrors can occur as well. She stated in her experience, children who are Sensory Seekers, and on the go constantly in their waking hours, tend to be quite active in their sleep as well. All I could do was nod and try to absorb this new information, which explained ALL our sleep issues. So what we are experiencing is normal; however, it is more pronounced due to Beth’s sensory issues. Dr. S suggested we try keeping Beth up until 8pm, so that she in bed less time. She said if you reduce the amount of time children are in bed, you can train the brain to get more quality deep sleep. She also recommended we keep the after dinner activities less stimulating, since it can be difficult for children to calm their system down, it is best to keep the late afternoon/early evening activities more low-key. Another suggestion was to not take her out of her room for any reason during the night. She thinks some of the night-time awakenings could be behavioral, and this should nip them in the bud. We instituted the new sleep routine Monday with 1.5mg of melatonin, and actually made it until 8pm, under protest from the girls. The rest of the night was ROUGH. Beth had several night terrors, which I had expected due to the later bedtime, because they always happen when she is overtired. Tuesday was a bit better, and Beth definitely was quieter, and I only had to go in twice to soothe her after nightmares. Last night I only made one trip in to cuddle away the cries, and she quieted down very quickly. I am hoping once we adjust to this new schedule it will help us all get the rest we need. Doctor said we will never have perfect sleep every night, and I know that. However, if we could get four or five nights a week of real sleep, it would be a wonderful blessing. I am an exhausted momma, desperately seeking sleep, but I think perhaps there is a light at the end of the tunnel.